À Nos amis. Le Comité Invisible. 2014. Daniel Cohn-Bendit, is now “well liked” in Germany and “loved” in France – part of the national DNA (1968: Power to the Imagination. NYRB). Our happiness at this recognition – perhaps one day to be extended to our national treasure, Tariq Ali – inspires us to reflections on the uprisings that made the Green leader’s fame. The 50th anniversary of the événements has been, and will be, greeted in France with a flood of articles, books, radio, television programmes and, what one might call “teach-ins”. There is a lesser, but audible, interest in the English-speaking world and elsewhere. In homage, the tête de cortège on this year’s Paris May Day promised in a communiqué, in tribute to the enragés of the Mouvement du 22 Mars a re-enactment of the May riots in the Quartier Latin. Those promoted by the friends of Le Comité Invisible ended up with a little smashing up of the nearest MacDonald’s and some bus shelters. 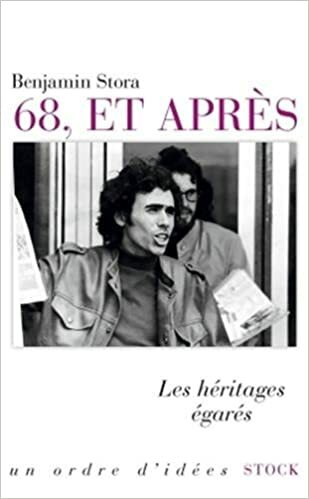 For some commentators on the legacy of 68, from the left, Cohn-Bendit stands out not just as a sign of middle-aged mellowing into the political mainstream, and a warning about the transience of elfin cuteness. The Franco-German politician represents the capture of its radical forces by Capital. Others, from more centrists position, state that what remains of the far-left has been “absorbed” by the French political system, the latest stage being Jean-Luc Mélenchon’s La France insoumise which pitches its objectives not at creating communism, or socialism, but a left populism aiming at a Sixth Republic. A more thorough-going stand is to claim, in common with parts of the right, that 68 was a wrong turning in the first place. That it was the rise of the Me (too?) Generation in alliance with cosmopolitan capital which has sapped the sovereign rights of the People…or the Nation. Debray has never abandoned this refrain, edging ever closer to nationalism as he ribs against the process of “Americanisation”, the global marketplace, and the vogue for “sans-frontiérisme” (Éloge de frontiers 2010). Perhaps he is haunted by the melancholy mercantile state, Orsenna, pictured by his favourite author, Julien Gracq in Le Rivage des Syrtes (1951). The encirclement never ends…..
More modestly, and accurately Luc Boltanski and Eve Chiapello in the New Spirit of Capitalism (1999), described how everything from managerial ‘science’ to cultural production has used themes of autonomy and choice in capturing a new post-68 public for companies and the market. There is equally, no doubt something more still to say about ‘post-modernism’ and the post-68 development of capitalism. The theme that ‘68’ has been absorbed by capitalism, energised into forms of ‘liberalism’, is as well known, as it is coterminous with the events themselves. It is tackled in Audier’s indispensable La Pensée anti-68. (2009) Audier has little trouble pointing out that it was the most conservative section of the Parti Communiste français (PCF) which declared that the student revolutionaries were playing the bosses’ game. The critique of individualism, Audier points out, appeared in France in a variety of forms. Many, from both right and left, were influenced by Christopher Lasch’s 1979 Culture of Narcissism (from a certain US left), and a host of overtly right-wing writers out to defend the Nation and a cohesive society against the egotism of marketisation. An ‘anti-68’ cast of thought has developed. This extends from the obvious targets on the right, pessimistic cultural commentators such as Alain Finkielkraut (the list of others in this vein is long, very long), to the ‘anti-liberal’ admirer of George Orwell’s ‘common decency” another critic of the ‘doublethink’ of the “society of the spectacle”, Jean-Claude Michéa (La double pensée. 2008). He is less convincing when attacking the theorist of ‘menaces’ against collective identity, Pierre-André Taguieff, also a former Situationist. Subsequently Taguieff has attempted to explain populism and the appeal of the far-right, not to support it (La revanche du nationalisme. 2015). The treatment of other writers, such as Luc Ferry and Alain Renault, who constructed a ‘geology’ of 68 ideas, including well-known names such as Foucault, Bourdieu and Althusser, only retrospectively connected with the events is better framed. But Audier ignores some of their well-targeted shafts against the ‘research’ that went into Madness and Civilisation’s account of the incarceration of the insane, the banality and circulatory of Bourdieu’s concepts of ‘cultural capital’ in social reproduction, and Althusser’s ‘anti-humanism’ taken to ethical conclusions – above all his failure to begin to tackle the issue of Stalinism. La Pensée 68 is, above all, remarkable for its account of the complexities of liberal thought. This does not just include ‘neo-liberalism’ but a sceptical and democratic strain represented by Raymond Aron (he indicates – far from opposed to ‘68’ en bloc) to the various forms of American progressivism, such as John Dewey with which I suspect many of us in Europe are less than familiar with. He puts his finger on the real issues behind ‘neo-conservatism’ and neoliberalism. This is far from a far from a 68 ‘permissive;’ ideology. Stuart Hall, called Thatcherism ‘authoritarian populism’ and the first word has real weight. Cultural liberalism, against Michéa, and a host of others, is not reducible to the ‘market’. We should not lightly reject the liberal value of tolerance, as opposed to such authoritarianism as the libertarian left. The principal argument of La Pensée anti-68, then, which has worn well since the publication of La Pensée a decade ago, is that the hatred of the symbolic moment of 68 should be understood as more than a reaction. It is denial of what he calls, citing Claude Lefort celebrated 1980 essay on human rights, the opening up of new terrains of social affirmation. (2) In this sense it was not the grass roots May comités d’action, documented in an accessible form in Loyer’s book, which were harbingers of the political future. Particular forms of struggle may change, but the expansion of the political terrain for humanist self-assertion which is the enduring legacy of May 68. The counter-culture, or, more broadly, the wish to live ‘differently’ without repression, affirming autonomy and creativity, might be seen as a the ground for longer-lasting changes To Jean-Pierre Le Goff in his Postscript to Mai 68, l’héritage impossible (2002), the counter-cultural “liberation of désir”, the critique of authority, a wish for self-development and sexual freedom, cultural leftism “gauchisme culturel”, is the most important legacy of the time. While political leftism, attempts to make a real revolution, failed, the diverse ‘social movements’, as they used to be known, for women’s rights, gay rights, green politics, and what is today called “intersectionality” did not only have a cultural impact. Perhaps, regrettably, Le Goff has joined the ‘anti-68ers’. 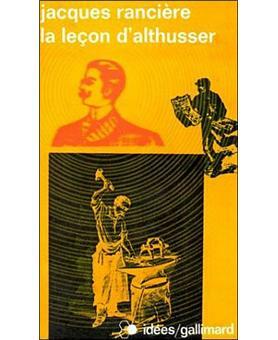 From the 1980s, onwards Le Goff argues in the essays collected in La gauche à l’agonie? they have served as a mask, or a radical substitute, for the governing French left’s adoption of neo-liberal economics. The final articles are denunciations of a further 68 inheritance, multi-culturalism, a Third Worldism that’s become, “islamogauchisme” and efforts to “understand” Jihadism by the French equivalents of Giles Fraser. One would listen to Le Goff’s catchphrases if he managed to reaffirm internationalist universalism. Does he stand like a rock with the leftists, democrats and liberals fighting Islamism in Muslim countries? He does not. In place of such commitment Le Goff ruminates over the managerial use of the youthful creativity, in a pseudo-68 liberation, the debris of French republican nationalism, and the narcissism ( a word one wishes vaporisation in the next edition of Newspeak) of those who declare themselves citizens of the world. In the absence of history’s ability to repeat its experiments it is hard to disprove the view that May 68 played a part in regenerating capitalism. More pressing, as Serge Audier states in Le Monde this March, is the persistence and radicalisation of the anti-68 reaction ( Le discours anti-68 s’est radicalisé ). The importance that its alternative, whether disguised as the Republic or not, the Nation, or National Sovereignty, the ultimate Identity, has taken hold of political debate in France and most of the West cannot be underestimated. In Britain as the editors of New Left Review giggled at the result, a number of leftists have joined in the ‘anti-68’ Carnival or Reaction that has followed Brexit, and found merit in les anglais de souche who supported the anti-European break (55 Arguments for Lexit). La France insoumise drapes itself in the Tricolor, and chants the Marseillaise. Give me the cosmopolitan sans-frontières with their universal human rights any day. (1) A Modest Contribution to the Rites and Ceremonies of the Tenth Anniversary. Régis Debray. New Left Review (First series). No 115. 1979. (2) The Politics of Human Rights in. The Political Forms of Modern Society Bureaucracy, Democracy, Totalitarianism Claude Lefort. Edited and Introduced by John B. Thompson. The Politics of Human Rights. MIT Press. See also Les droits de l’homme et l’Etat providence. Reprinted in Claude Lefort essays sur le politique. Seuil. 1986. L’événement 68. Emmanuelle Loyer. Champs histoire. 2008/2018. La Pensée anti-68. Serge Audier. La Découverte/Poche. 2009. La gauche à l’agonie? 1968 – 2017. Jean-Pierre Le Goff. Perrin 2017.